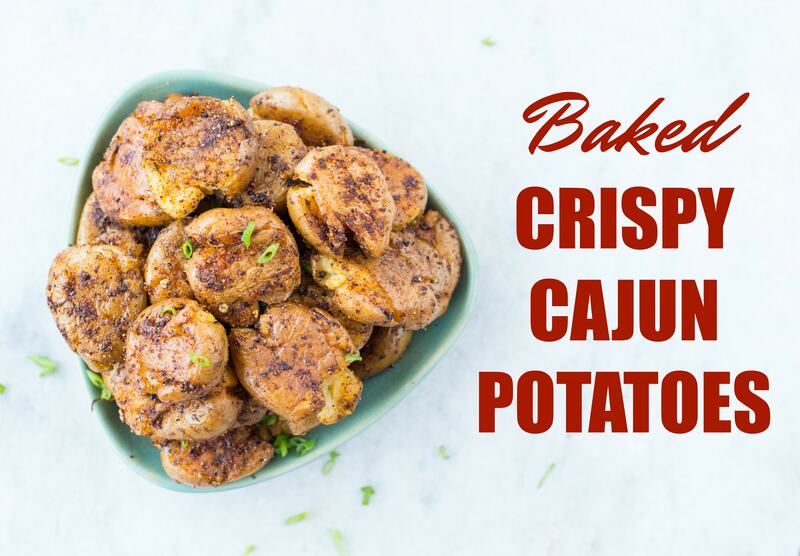 Baked Crispy Cajun Potatoes are seasoned with spicy Cajun spice mix and baked until perfectly crisp on the outside. 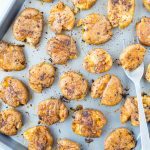 These crispy baby potatoes made with only three ingredients addictive and a crowd pleaser for sure. 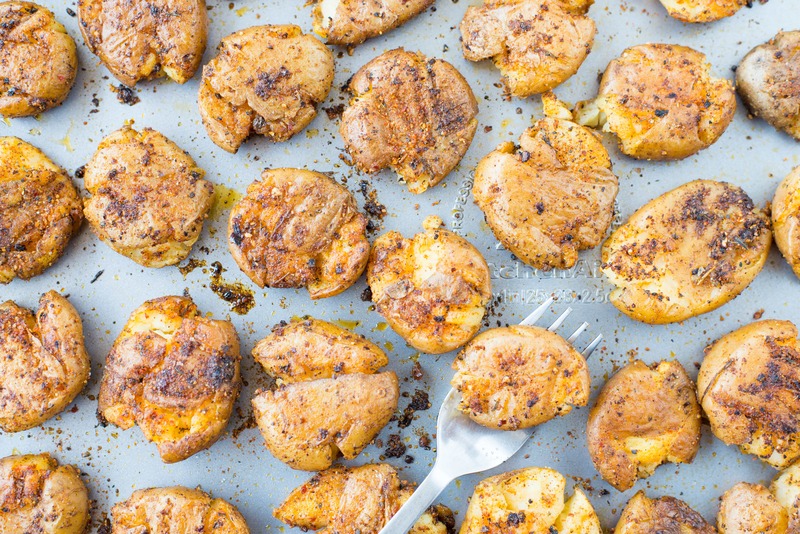 Baked Crispy Cajun Potatoes is one of the easiest appetizers you could make for a crowd. All potato lovers(I am one of you) just have a look at this, you have one more reason to love potatoes. 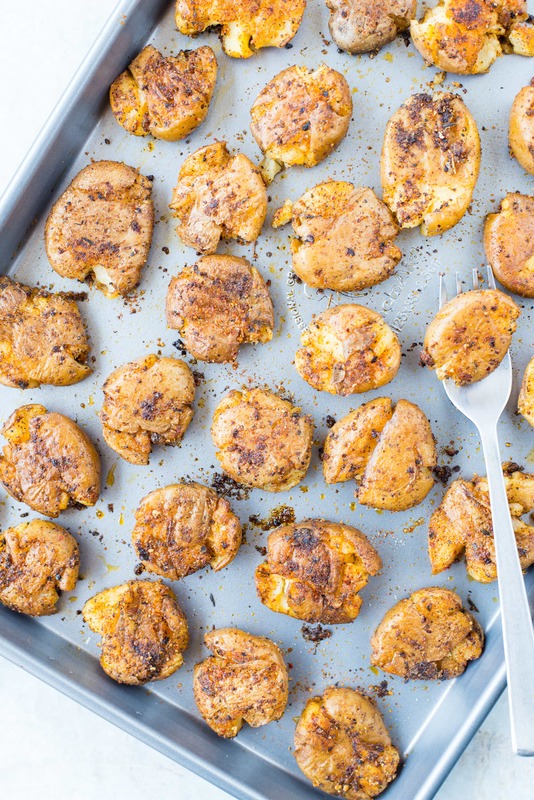 With or without skin, these crispy baby potatoes are the bomb.Cooked baby potatoes are tossed in lots of butter, Cajun spice and baked till they are crispy. Just 3 ingredients and one of the most amazing appetizer is ready. First time when I had made these, I didn’t follow a recipe. It was a weekend friends get- together at my home and there was a well-planned menu of appetizers, mains and of course booze. But you know what happens when a bunch of good friends sit over a weekend ?? Time just flies and the party continues until morning. When I saw we were running out of finger food, I started searching the pantry for some quick arrangement. The Chicken was in the freezer and no way I could have defrosted them in a short time.For my rescue, there were some unpeeled cooked baby potatoes in the refrigerator. Then this awesome appetizer happened. Everyone loved it so much that I had to make it for the second time and third time too. SECRET TO MAKE PERFECT BAKED CRISPY CAJUN POTATOES. For making perfectly crispy on outside and soft from inside kinda baby potatoes start with par-boiling potatoes the right way. Start with cooking the potato. Clean potatoes. Prick a couple of time using a fork. This helps in soaking up the seasoning. Season lightly with salt. Add cleaned potatoes. Cook until they are just done and soft. Potato should be thoroughly cooked but should not be mushy. Darin water and let the potatoes come to room temperature. In a small mixing bowl, add melted butter, Cajun seasoning. Add half of the seasoning to the potatoes. Toss well. Spread potatoes in a single layer. Using back of a fork, mash slightly. Add any remaining seasoning. Using a brush or hand coat potato evenly. Make sure the oven is preheated to 200-degree Celsius. Bake for 20-30 minutes. Until the potatoes look crispy and golden brown in colour. CAN I MAKE CRISPY POTATOES IN A SKILLET? Offcourse you can. 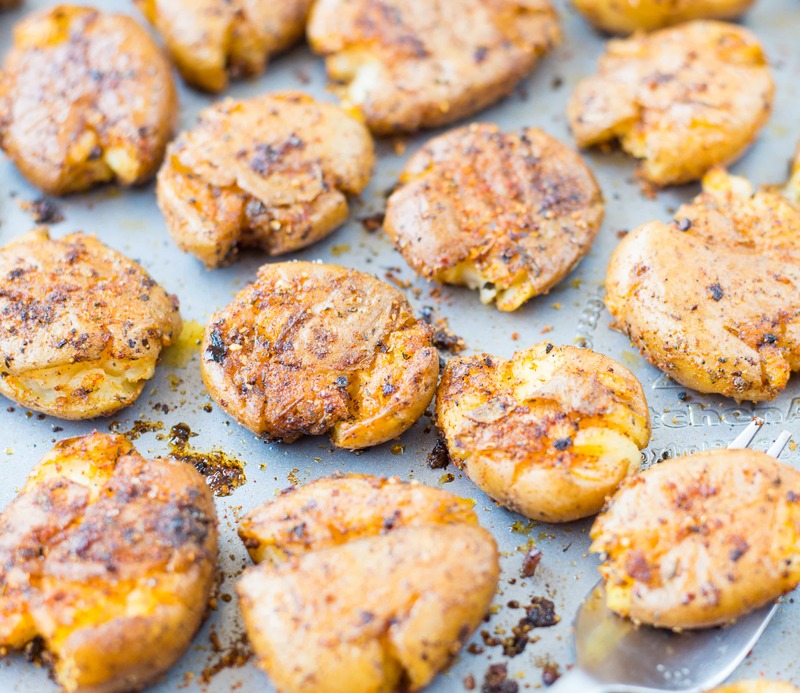 A good cast iron skillet can be used to make these Crispy Cajun Potatoes. Have you checked these amazing Crispy Sesame Ginger Tofu With Soba Noodles recipe? How crispy that Tofu looks. I had used a cast iron skillet to make those crispy tofus. When you bake, you just pop the baking tray in the oven, set time and forget about it for next 20 minutes. But when you use a cast iron skillet, you need to be present while it is getting cooked. All you have to do is arrange smashed potatoes in a single layer. in a hot greased skillet. Once they are brown on one side, using a spatula flip them carefully. Cook until they are crisp and golden. If you are a potatoes lover like me and love anything with potatoes, then I am sure you would like these Loaded Mexican Chicken French fries.